Enclosed with our thanks, is a check for the balance owed to you for your recent work at our house. We were a bit surprised that there is not extra billing for the time spent working around the tree that - - - - took down, as I know it inconvenienced your crew. We are delighted with the result, and will call upon you again for any future needs. We have a lot of confidence in Jerry DeLeers who built our new home on Star Creek Ct. in Green Bay, so when he said that your company was a good one to use for the landscaping, we followed up. Glad we did. Glad he recommended you. Glad you did the work. We are more than happy in more than one or two ways. - Janet & Jerry G.
Lance, Thank you so much for the hard work, diligence, and kindness your staff at Landscape Artisans provided to get the backyard done at Laurie and Mark's home. You guys really worked hard to make sure things were done (and looking beautiful) and Mat and I are very grateful. Our wedding was amazing and the backyard was breathtaking. - Dawn & Mat H.
When we found what would become our home, it had almost everything we wanted. But the first time we drove past it, truth be told, I completely dismissed it for one simple reason: With two kids (and hopefully more in our future), I didn’t see the yard as remotely feasible. While the lot is over an acre in size, most of it is a steep wooded hillside and large, multi-leveled retaining wall. There was no way, I thought, that it could work for us. And yet, it has, beautifully – thanks to Landscape Artisans. Bob and I would like to express our appreciation to you and your hard working, diligent crew of guys who transformed our tired, worn out yard into a beautiful landscape. We are so pleased. Landscape Artisans is rightfully named.... they truly are artisans. Lance took the time to sit down with me and discuss my vision for the landscape. We discussed functionality of the space and the degree of maintenance and upkeep I wanted to provide. We discussed how the landscape needs may change not only by the season, but with the years to come. We are in the process of completing a very large multi-year home project on over 7 acres of land on the Fox River. 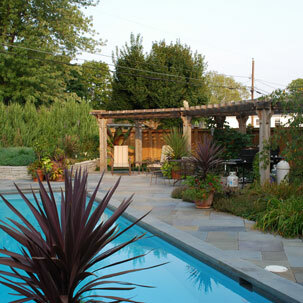 The landscaping has been one of the few aspects of that project which has been trouble-free. It is a pleasure working with Lance and his crew from Landscape Artisans. 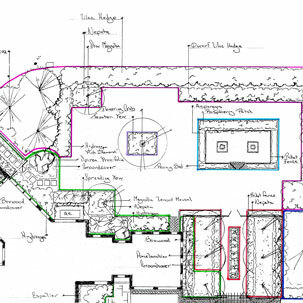 They are very attentive to every detail resulting in exquisite landscape design and workmanship. The designs created and implemented for our yard reflect that Landscape Artisans is a most appropriate name for the company. The knowledge, talent, skill, and professionalism that Lance, Lisa, and the site teams bring to a job are outstanding. When we weren't quite sure of what we wanted recommendations were made in a respectful way with regard to the types of plants that would work best for our woodland setting. For us, Landscape Artisans is Lance, Lisa, Jeff, Andy, Chris, Felipa...Working with these talented, experienced, responsive, friendly individuals we've learned the meaning of seasonal interest, texture and drifts of color. We've watched our lot, a combination of farmfield and jungle develop into a beautiful, natural, cohesive property that enhances our home and our life. Working with Landscape Artisans was so much fun! Even though I never lifted a rock or planted a shrub I know that my personality is alive in my landscape choices. Even weeding has taken on new meaning as I've come to appreciate the names of my plants. Lance has been inspirational as he patiently answers my question: Is this a weed or a plant? His rule of thumb, if you like it let it grow and enjoy it...I would add, love it! 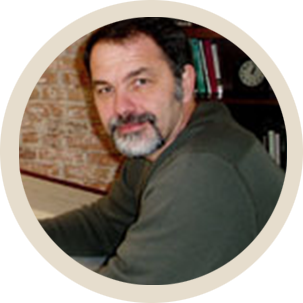 Lance Abts has been my personal "garden guru" for the past twenty years in two very different residential locations. As with many gardeners, I am always coming up with new problems or challenges for Lance. Landscape Artisans, as the name implies, is a group of professionals skilled in landscape design and landscape construction. 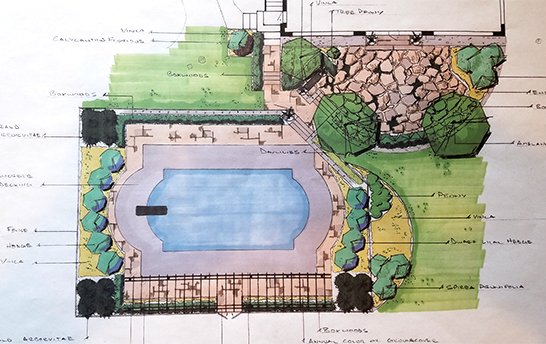 With backgrounds in horticulture and landscape architecture, our goal is to merge these two disciplines into fine garden design. 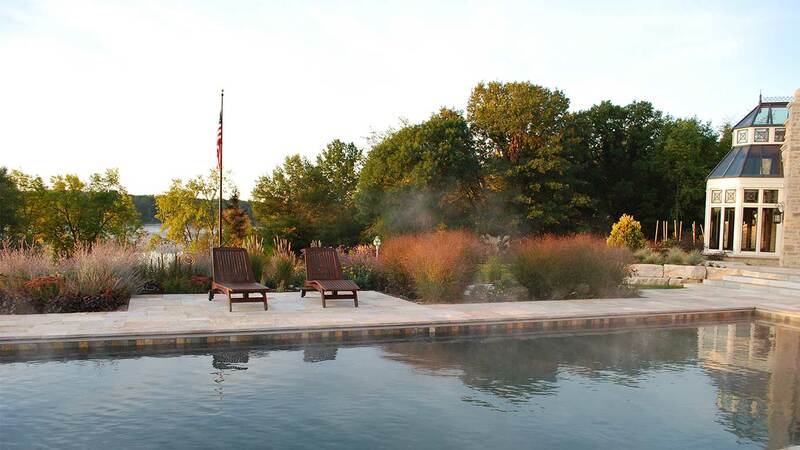 We at Landscape Artisans are committed to providing our clients with a product and service whose quality and integrity will be a standard for others to achieve.